Matt Bonner is a retired two-time NBA Championship winner with the San Antonio Spurs. The power forward/center position player, who was selected with the 45th overall pick in the 2003 NBA Draft by the Chicago Bulls, was known for his three-point shooting ability which proved to be a huge asset to his teams. As a college basketball player at the Universty of Florida, Bonner made sure to be another exception to the widespread thought that exceptional college athletes could not attain or maintain the highest academic honors. He did so by graduating with a 3.96 GPA. 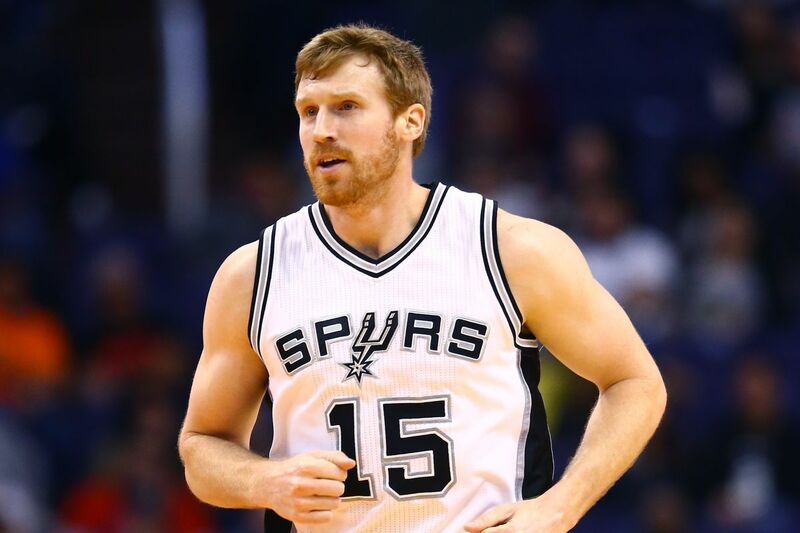 Matt Bonner was born Matthew Robert Bonner, one of three children to Paula and Dave Bonner, on the 5th of April, 1980 in Concord, New Hampshire. From a very young age, Bonner was said to have always displayed exemplary character to his younger siblings as he excelled both in his studies and in basketball. The young athlete led his school, Concord High School to three state championships and was also the Valedictorian of his class at graduation. His exploits in class and in gym earned him a few scholarships but Bonner chose to attend the University of Florida, where he would play for the Florida Gators men’s basketball team under coach Billy Donovan. During his time in Florida, Matt Bonner made sure to focus on his education as he also starred for the team. He averaged 15.6 points, 7.2 rebounds, and 1.5 assists in his junior year and 15.2 points, 6.1 rebounds, and 1.5 assists in his senior year to be twice named the Academic All-American of the Year for the sport of basketball. He further garnered first-team All-Southeastern Conference honors and an Associated Press honorable mention All-American selection in his senior year. Bonner went on to achieve a GPA of 3.96 as he graduated with a bachelor’s degree in Business Administration. Upon graduating college, Matt Bonner was selected by the Chicago Bulls in the 2003 NBA draft with the 45th overall pick. He was, however, immediately traded to the Toronto Raptors who sent him abroad to further hone his skills. Bonner played his first professional basketball season in the Italian league with Sicilia Messina in Messina, Sicily where he averaged 19.2 points and 9.3 rebounds per game. Following his impressive first professional year, the Raptors welcomed him back for his rookie NBA season where he averaged 7.2 points and featured in all of the teams 82 regular season games. Bonner stayed with the Raptors until June 2006 when he was traded to the San Antonio Spurs. The move turned out to be a blessing in disguise as he went on to win his first NBA Championship that year. Matt Bonner went on to prove to be a significant part of the side as he was noted for his exceptional three point shooting ability. He led the league in three-point field-goal percentages in the 2010-11 season and won his second NBA Championship in 2014 before retiring from the sport in January 2017. For the 2015-16 season which turned out to be his last year as an NBA player, Matt Bonner agreed to a one-year contract with the San Antonio Spurs that was worth $1.5 million. Prior to that deal, Bonner received $1.45 million for the 2014-15 season and then an average annual salary of $3.47 million from the four-year $13.89 million contracts he signed in 2010. Nadia Bonner is the name of Matt Bonner’s wife. The pair, who were introduced to each other by a mutual friend, met during Bonner’s time in Toronto with the Raptors. Nadia was working as a hostess at the Air Canada Center, the arena of her yet to be husband’s team when their parts crossed. The pair dated for a few years before Bonner popped the question to his lady in the most romantic way possible. It was reported that Bonner had sent Nadia on a scavenger hunt around the city of Toronto on what happened to be Valentine’s Day. The final clue of the hunt led Nadia to him and he then proposed to her. The pair went on to exchange vows on the 1st of August 2008 at the Vaughn Estate in Toronto. About a year after their wedding, on the 21st of June, 2009, the couple welcomed their first child together, a daughter named Evangeline-Vesper Lynne Bonner. On the 27th of August 2012, the Bonner family added a new member, a son named August Bonner. Matt Bonner will definitely tower over a good number of the players he would come across in the NBA with his height of 6 feet 10 inches (2.08 m), but he is, however, not the tallest person from his family as his younger brother, Luke, a fellow professional basketball player, is 7 feet 1 inch (2.16 m) tall. The now retired player, who has found work as a studio analyst with the San Antonio Spurs TV Broadcast, weighs about 235 pounds (107 kg). His other body stats are not known.